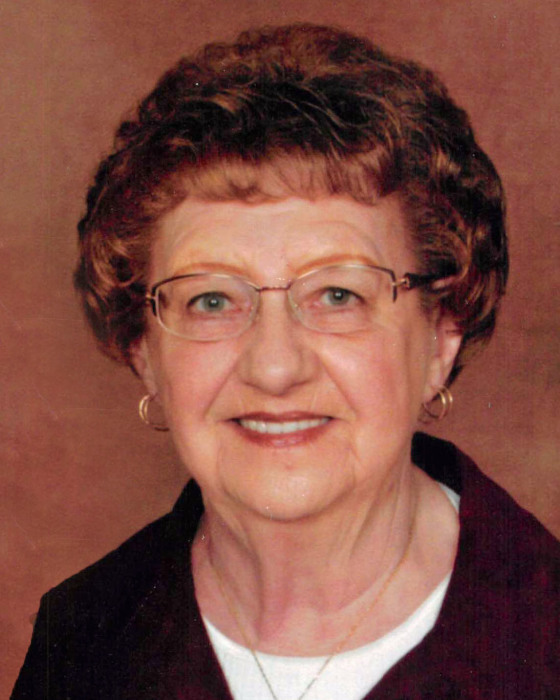 Patricia Louise Harthun, age 77 of Dent, MN died Monday, June 25, 2018 in Sanford Medical Center, Fargo, ND. Visitation will be 5:00-7:00 p.m. on Thursday, June 28 at Schoeneberger Funeral & Cremation Service in Perham, MN. Visitation will resume from 1:00-2:00 p.m. followed by the funeral service at 2:00 p.m. on Friday, June 29 at the Dent United Methodist Church, Dent, MN. Pastors Amy Strom and Greg Leslie will officiate. Burial will be in the Pleasant Hill Cemetery near Dent. Patricia was born June 27, 1940 in Perham to Emil John and Clara Louise (Richter) Moltzan. She graduated from Perham High School and on November 14, 1958, she married Raymond C. Harthun. Patricia worked as a homemaker and was a bookkeeper for the couple’s business, Ray’s Milk Hauling. She was a member of the Dent United Methodist Church and volunteered her time there often. She enjoyed baking, gardening, country western music, dancing and especially loved garage sales. Her grandchildren and great-grandchildren always put a smile on her face. Patty and Raymond would have celebrated their 60th wedding anniversary this November. Surviving Patricia is her husband Raymond; her daughter Dawn (Bruce) Buschette; her son Wayne Harthun; her grandchildren Melissa Harthun, Sara Harthun, Katie (Nathan) Bontrager, Teri Harthun, John (Keshia) Buschette and Justin (Courtney) Buschette; and her great-grandchildren Mya, Tia, Gage, Brick and Charlie. Preceding Patricia in death were her parents and her twin daughter Dixie Rae.